Subtitles, in the context of movies, are textual representation of the audio contained in the playing video. Watching movies with subtitles has its own joy even for those who could understand the language spoken in the video but want to make sure that they don’t miss out any of the mumbling or dialog, whereas it becomes necessity for those who don’t understand the audio or who’ve ears defect or so. Whereas some people just don’t watch foreign language films because they’re required to use subtitles and they hate reading text while watching movies. They feel as if their concentration is being used up in reading rather than enjoying the movie in its full volume. If you’re of this type, let me assure you with 100 % certainty that you’re missing hell a lot of amazing movies and entertainment which are also produced in other languages (Believe me, some of the super hit English movies has been a derived or inspired work of foregin language films so to get the first hand experience like a true movie lover, watch movies based on its quality irrespective of the language used). Well, it takes time for people new to subtitles to get used to, but once your eyes and mind adjust to watching movies with subtitles, it’d become natural to you. You won’t even feel as if you’ve been reading subtitles while you were engrossed in the movie. For masses for whom English is second language, like Indians, Chinese who together form most of the world’s population, using subtitles to watch English movies becomes a necessity not because they don’t understand English but because of the typical American Accent. Subtitles are even used in Television programs but in this article, we’ll limit our discussion to using subtitles in movies. On the television note, if you’re Indian and have watched Chitrahaar or other entertainment episodes on Doordarshan, national TV channel, you’d have seen subtitles flowing on the television screen in colored font for the audio playing in the video – Well, there is a researched reason for it and not for you to learn the lyrics of the song. You might be surprised to know that SLS (Same Language Subtitling) is officially practiced in countries like India to develop a good and productive reading habit among the people, housewives, children in households in order to boost literacy efforts by the Government of India. Now, Let us proceed with this article in frequently asked questions format for ease of reading. Do I need some sort of software like – Subtitle player to watch movies, videos with subtitles? — The answer is No. Any good or advanced media player software like VLC Player will do great. How to get subtitle for the movies ? Well, before downloading subtitles for the desired movie, make sure the movie doesn’t contain prerendered or hard-coded subtitles. Pre-rendered subtitles are embedded in the movie file. To turn them on, just play the video file in vlc media player and right click on the screen, go to subtitle. If it shows there any, just select it. 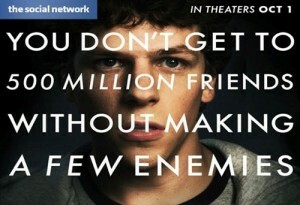 If it doesn’t, you need to download external subtitle. Hardcoded subtitles are merged text overlay on the video. These can not be turned off. These are a part of the video. We generally don’t like hardcoded subtitles because they disturb the viewing experience on the account of inability to be disabled or turned off. So, when you’re sure you don’t have subtitles, you need to download it from internet. These are called soft subtitles, these are external subtitle file which can be used with the movie. The main problem with external soft sub is that you need to find matching subtitle because on the web, there are several subtitles available for the same movie title. You need to wisely find the one that works for your movie. The best way to determine this is by looking at the file size of the movie, its quality (HD or BluRay or DVD rip), encoder name, etc because generally subtitles are available on the web with these additional information. If you’re still confused, just download every subtitle for your movie one by one and check whether you find the perfect one. Bad subtitles mean that the text displayed and the audio heard is not synchronized. Some of the best websites for finding subtitles for movies are subscene.com , opensubtitles.org , podnapisi.net , etc. On subscene.com, if you directly land on subtitle download page, click on ‘back to subtitle list’ displayed just above the movie thumbnail poster and then choose the one you assume right for your movie. On opensubtitles.org , there are many confusing advertisements which might trick you as if they were your subtitle file, so use some of your neurons to distinguish betweeen the subtitle download link and advertisement link. We’ve listed just few subtitle download sites so as not to overwhelm you. Try searching on these, if you do not get it, then just search for it in the following format on Google – Movie Name Language Subtitle. For example – Looper English Subtitle . Why some subtitles show text description for even common movements or action like door opening, etc ? Well, such subtitles are called closed captions or HoH (Hard of Hearing) or SDH (Subtitles for deaf or Hard of Hearing) or Haring Impared Subtitles. As manifest here, such subtitles are usually intended for deaf or such person who generally can’t even listen to the sound or thumping of door closing or opening or such effects. If you don’t like these kind of subtitles, when downloading subtitle file, look for unusual symbol next to subtitle name which is usually indicator of such kinds of captions, and don’t download such subs. How to watch movies with external subtitles ? First, download the subtitle file, extract it if it is compressed zip or rar file. The extracted subtitle file usually have .sub or .srt file format. Now play your movie in vlc media player. Drag the subtitle file onto the playing video in vlc. Alternatively, right click on playing video in vlc player, go to subtitles, choose open file, locate the subtitle by browsing and selecting from the downloaded location. Alternatively, rename the subtitle file with the same name as the movie file name and place the subtitle in the movie folder, the folder should generally contain the movie video file and subtitle file. Now play the movie, press v key on your keyboard to enable/disable subtitle. For example, create a new folder and place the movie file in it. Now copy paste the subtitle file in the folder. Rename the subtitle file to match movie filename without changing the file extension. If you’ve movie with name The-Dark-Knight-DVDrip.mkv , your subtitle name should be something like The-Dark-Knight-DVDrip.srt..
How to sync subtitle timing ? 1st and Easiest Step – To download any appropriate subtitle file and use vlc subtitle delay adjustment features. 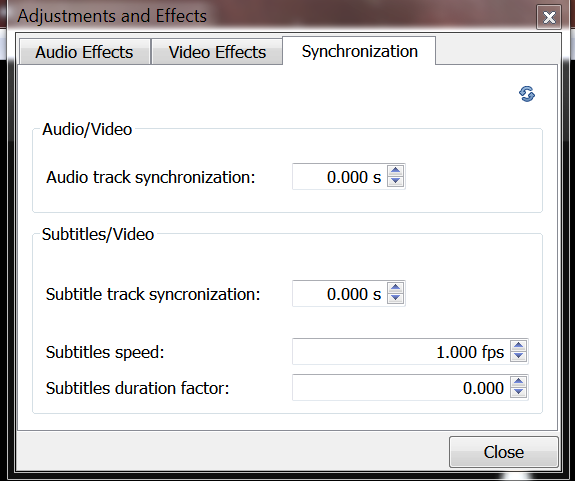 In VLC player, we can adjust the subtitle timing to manually synchronize the text with the audio. Press g key on your keyboard if the text of the subtitle displayed comes after the audio spoken i.e. if subtitle is slow. If the subtitle comes first and then audio after some delay i.e. subtitle is fast, then press h key until the text-audio become synchronized. Normally, this works in most cases, but in certain cases, if you correct synchronization at certain point, the syncing is again affected badly at some other point in the movie. In such case, you can do further adjustment by doing one more step, right click on video, Go to tools and choose track synchronisation, adjust subtitles speed and hit refresh to see the changes in real time. Even then, if the movie is not synced properly with subtitle, you can’t do much. 2nd – to download nearest closely matching subtitle and editing it to correctly sync it with audio/video of movie with the help of subtitle editing tools. This is really a complex process and this is for professionals, you won’t enjoy editing subtitles.